On the 2nd of January, MD kicked off the year with a resounding rejection of the Trump agenda of more fossil fuels and more global warming. On this day the Maryland Board of Public Works unanimously voted to DENY Transcanada subsidiary Columbia Gas a permit needed to build the Potomac Pipeline under the Potomac River. The permit is required to cross under the Maryland Rail Trail, and Columbia Gas cannot reapply for it. They can attempt to rerout, but that requires starting ALL the permitting process over including FERC and could add years of delay to a project they hoped to start in just weeks. 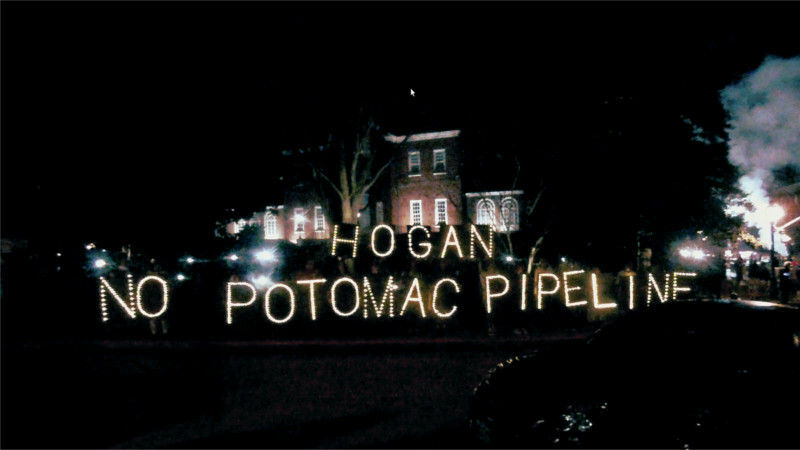 They can attempt to sue the State of MD, but courts have already shut down two other pipeline projects in MD. Alternately, they can stop throwing good money after bad and walk away from their failed investment. Near the end of December, the US Chamber of Commerce claimed that water protectors and anti-pipeline activists (the "Keep it in the Ground" movement) had in the last few years stopped, pre-empted, or deterred an estimate $91 BILLION in "economic activity". Most of this "economic activity" would have taken the form of fossil fuel consumption, so this is a huge blow to defend the climate. The $91 Billion lost means that companies like Dominion and TransCanada have taken a loss about 3,000 times the size of Vail Ski Resort's losses (totoal insured and uninsured) losses from the 1998 ELF Vail Fire. This big an economic contraction scales down an entire economy that at its root is based on unbounded growth and unlimited pollution and consumption. This massive blow has been delivered mostly by ordinary protests, lockdowns and civil disobedience, and well-places applications of the attorney's art leading to court decisions that have shut down pipeline after pipeline. In Occupied Canada, more tar sands pipelines have been cancelled than have been built. Here in MD, preventing the Potomac Pipeline from being built prevents fracked gas from the gaslands of Penn from ever reaching the proposed Rockwool mineral wool factory in Jefferson County, W VA. Overwhelming public opposition to this plant and the industrial park around it has not prevented the county from granting massive tax subsidies and exceptions to environmental regulations. Now they might find themselves quite literally in the same place as an SUV driver with an empty gas tank. Protest WORKS, to the tune of taking $91 BILLION out of the hands of the Enemies of the Planet continentally, and stopping the delivery of fracked gas to a "welfare for corporations" boondoggle locally!